: 40+ yrs exp as Master Love Psychic. Call today for a better tomorrow! I am a natural born clairvoyant, gifted psychic and have helped many people both nationally and abroad. I also read for celebrities. I can help in any area of your life. I am a clairvoyant,pet psychic,tea leaf readings,reiki,medium,empath,crystal ball readings. spiritual reader and advisor... No problem is too big or small for me to handle...call me today for a fast and accurate reading,you wont regret it..please after reading leave a review is appreciated! ty. 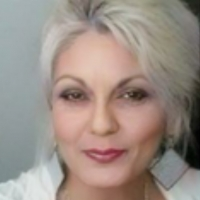 Have studied at The Psychic Arts at UCLA,Ca..& The Berkley Institute of Psychics in California. I have 40yrs exp. in the Psychic fields and helped many people all over the world.